The structure we see today was largely inspired by the novel Lichtenstein by Wilhelm Hauff. 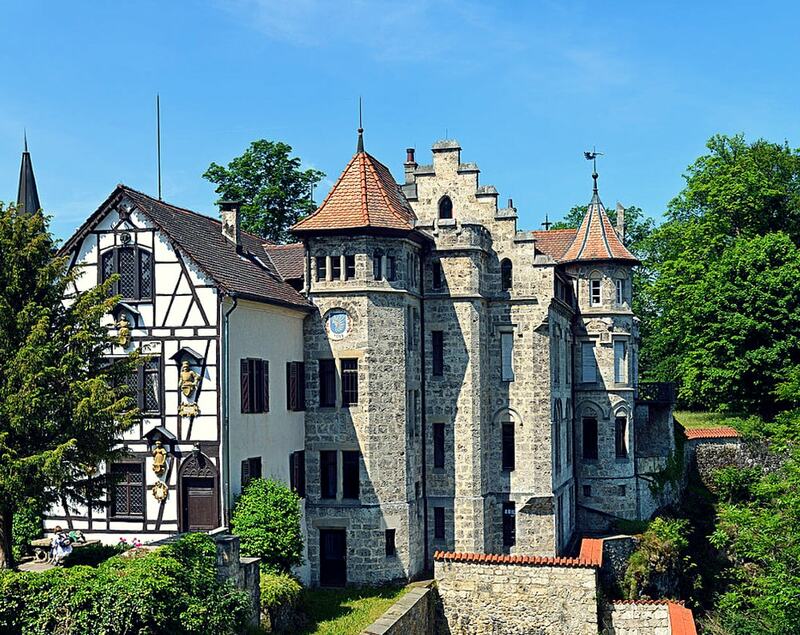 The castle has an impressive location: perched on an 800 meters-high cliff just on the edge of the Swabian Alps, it offers magnificent views of the surrounding landscape and the valley of the Echaz river, a small tributary of the Neckar river. The name Lichtenstein translates as "shining stone". At the beginning of the 12th century, the Lords of Lichtenstein - a respectable and noble family - owned much of the land and controlled important resources in the region. Their ancestral seat was a small fortress that was built on the escarpment above the source of the river Echaz, directly above the present castle. The site is known today as Old Lichtenstein. Unfortunately for them, their fortress was under constant attack from the citizens of the Free Imperial City of Reutlingen (rumors say that the Lords were not friendly with the people that lived in the nearby city). The old castle was destroyed twice, once during a civil war in 1311 and again in 1377. After the second siege, the Lords of Lichtenstein decided to build a new and better-equipped fortress able to withstand the numerous attacks. However, instead of using the ruins of the old castle as foundations, the new Lichtenstein Fortress was erected about 500 meters away from the old castle. The site was the same as that of the current structure. Completed in 1390, the new castle was one of the most impressive fortifications of the Late Middle Ages. Incorporating modern military features such as early casemates, the new fortress was virtually impregnable and it withstood every single attack. In 1567, however, the castle lost its status as ducal seat and, as a consequence, it began to fall into disrepair. 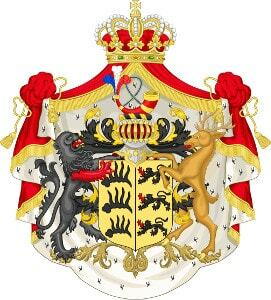 In 1687, the last member of the Lichtenstein family died fighting in the Great Turkish War and the castle was taken over by the Tyrolean line of the Habsburg family. 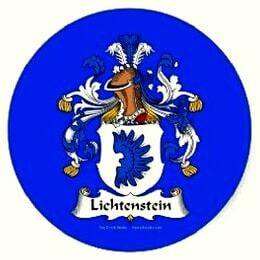 The coat of arms of the Lichtenstein family - a pair of golden angel wings on a blue background - is still displayed in the Great Hall of the castle. Over the next century, the castle continued to deteriorate until it finally came into the possession of King Frederick I of Württemberg. In 1802, he decided to dismantle the entire structure and replace it with a hunting lodge. Towards the end of the 18th century, an important cultural movement originated in Europe and in most areas was at its peak in the first half of the 19th century. This movement is known as Romanticism and it was embodied most strongly in the arts, music, and literature. One of Romanticism main emphasis was the glorification of the past with the nostalgic longing for the medieval times. With Romanticism, medieval virtues such as chivalry became increasingly popular and medieval architecture, primarily Gothic style was very much favored over the classical. In 1826, German poet and novelist Wilhelm Hauff published his historical novel Lichtenstein. The novel is set in and around Württemberg, with the castle of Lichtenstein playing a major role. The book was a huge success. Count Wilhelm von Urach, who was the cousin of King Wilhelm of Württemberg was so inspired by the book that he decided to build his own medieval knight's castle. Count Wilhelm was extremely interested in medieval history and architecture and a great art-lover but he was also looking to house his substantial collection of medieval arts, arms, and armor. He bought the estate form his cousin - at that time, the old hunting lodge was quickly falling apart - and, after turning down several design-plans, he finally recruited architect Carl Alexander Heideloff. The whole reconstruction was heavily influenced by Count Wilhelm who, according to contemporary accounts, was the heart and soul behind the entire process. The structure used the ancient foundations of the castle of 1390 and stood up to three stories tall. A courtyard and a curtain wall together with several adjoining buildings and facilities completed the complex. In 1857, a barbican and an outer bailey were added to the construction. Count Wilhelm furnished the rooms of the castle himself. The castle was decorated by a Nuremberg painter who was responsible for the inner as well as for the outer ornamentations. The Romantic neo-Gothic castle was inaugurated in 1842 with the King present at the ceremony. 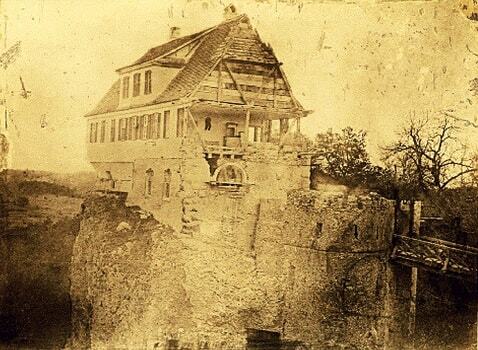 In 1869, it became the official residence of the Dukes of Urach. After the Revolution of 1848, Count Wilhelm became the first Duke of Urach. He decided to improve the castle's defenses, so he began to build caponiers (a type of defensive structure in a fortification) in the style of the Imperial Fortress of Ulm (at that time the largest fortress in Germany). A trench along the fortress was also constructed to deter attacks. Later, cannons were placed in the bastions on the walls. The final two buildings of the present structure (the Ducal Palace and the old groundskeeper's house) were completed in 1901. In 1911, a cableway was designed up to the castle. However, the project was never completed because it was believed it would ruin the beauty of the complex. During World War II, an American tank passing through the valley below fired a shell, which directly hit the main tower. Fortunately, the shell failed to explode, saving the great building from destruction. However, a hole in the plaster where the shell struck remains to this day. After 1980, the castle was restored to the present appearance. The tower and outer walls were restored in 1980 followed by the second floor along with other valuable historical objects. The upper floors and the roof were restored in 2002. 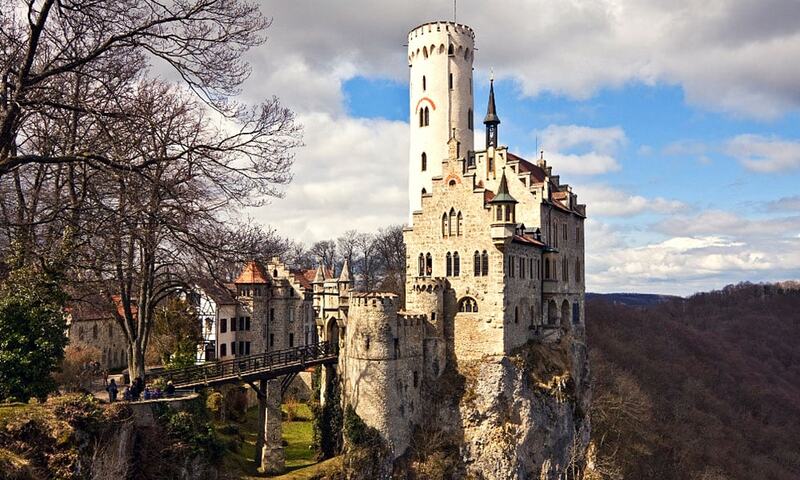 Much of these efforts were sustained by local non-profit organizations like the Wüstenrot Foundation and Community Fund for the Preservation of Lichtenstein Castle. Today, the castle is still owned by the Dukes of Urach and it is open for visitors via guided tours. 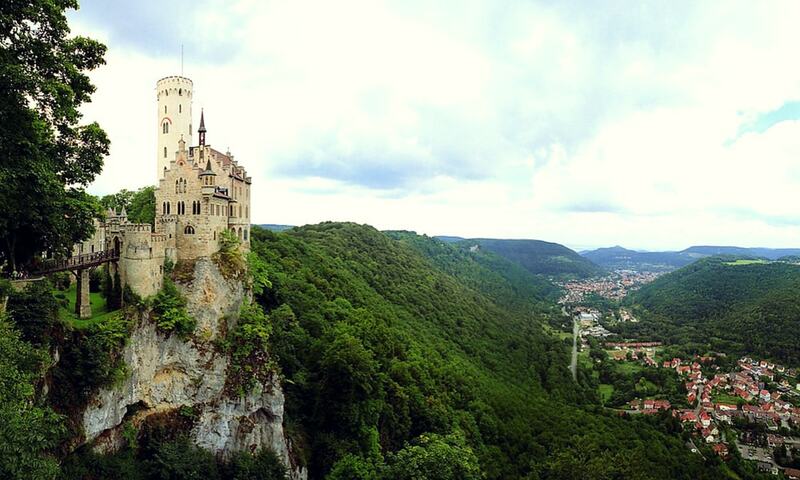 Lichtenstein Castle is one of the most charming castles to visit in all of Germany. The Gothic-style appearance and its striking location - perched on an exposed cliff, with the outer wall built right on the edge of the cliff - make it a perfect fairy-tale castle. During the spring and summer, the surrounding landscape is green and lush, which makes the castle extremely appealing. 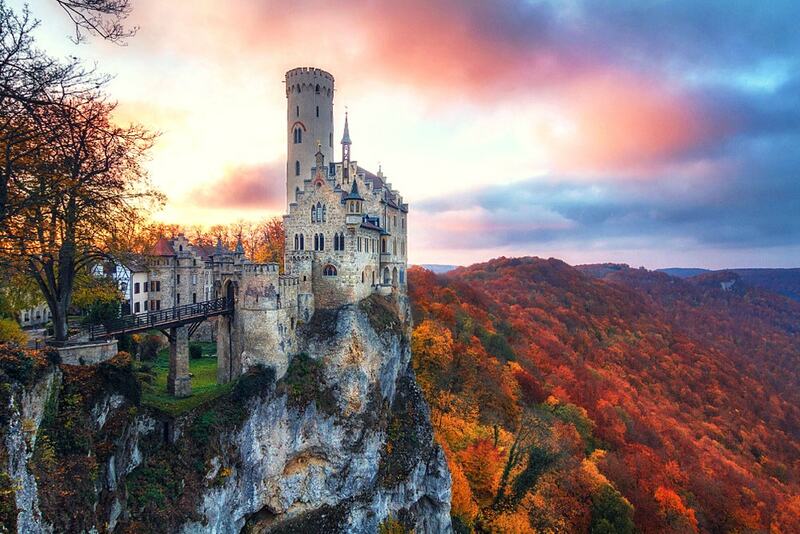 However, many of the visitors feel that Lichtenstein Castle is at its best in autumn when the surrounding hills and valleys, all filled with trees, turns a beautiful orange and yellow as the leaves begin to change. The castle is closed during December and January and in the winter (November, February, and March) it is opened during the weekends only. The Basic tour shows the 1st and 2nd floors of the castle and lasts about 30 minutes. The Special tour (which is not always available) shows the 3rd and 4th floors of the castle with the Count's private bedrooms. There is a Rope Course near the castle that gives everyone from eight years upwards the chance to prove one's climbing skills. Some parts of the castle can be rented for weddings and festivities. The nearest train station is Reutlingen Hbf. Reutlingen is very well reachable from Stuttgart which is the closest city lying 58 kilometers away. Strasbourg, France lies 198 kilometers away. There are several recreations of the castle around the world. These include a castle in Lietzow, the Old Vanderburgh County Jail in Evansville, Indiana, a vineyard house constructed at Osthofen in 1891 and even a replica erected in Hout Bay, South Africa. The Vintage News: The "Fairy tale castle of Württemberg"